pretty straight forward. There is only one “tricky” spot but once you look at it, you will totally get it and be done before you know it! Did I mention these aren’t just for the boys :) I have actually made a pair using girly colors and my goodness they are too cute for words! Be sure you post your completed project as well! I absolutely love looking at everyone's crochet work! I designed these as part of a baby set I received an order for. If you get the pattern for the whole set, you get the hat pattern free! The entire set is just too sweet for words. It makes the boots stand out even more! 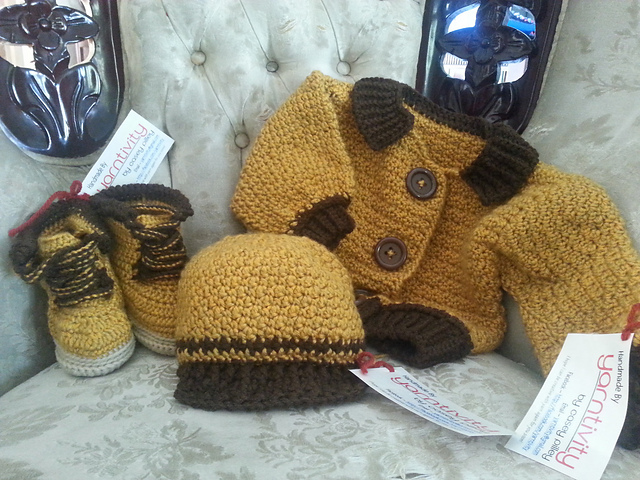 The pattern for the whole set is also available on Ravelry, Etsy and Craftsy. Thank you, as always, for reading my blog and taking interest in anything I say or do ha! Crocheting is such a passion of mine, I honestly do not know what I would do without it! 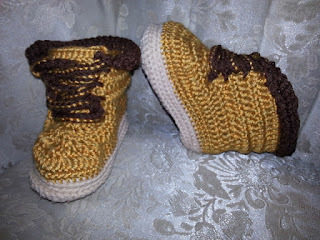 Feel free to comment or contact me with any comments, opinions, suggestions, anything crochet! I always love your writing style. you write your posts in such a way that it is always easy to understand. Please write on big man boots too.